South China Sea gets the headlines, but tensions are high in another contested sea, says J. Michael Cole. Although the sovereignty dispute between China, Japan and Taiwan over the Senkaku/Diaoyutai Islands in the East China Sea has always had its military component, from the 1970s onwards the three sides generally refrained from engaging in behavior that risked exacerbating tensions to the point where armed clashes could occur. Recent developments, however, indicate that this self-restraint might be over, and that the conflict may be about to enter a new — and possibly far more perilous — phase. Negotiations and half-hearted attempts to set aside political disputes and jointly develop the area, with its large, albeit unproven, oil and natural gas reserves, having stalled, we are now witnessing a rapid militarization of the conflict, which could have serious implications for regional security. To many observers, the road to the military phase of the Senkaku/Diaoyutai dispute was akin watching a train wreck in the making: everybody knows this will end in disaster, and yet no one does anything to fix the tracks while it is still possible to do so. As the diplomacy phase died tortuously from broken promises, neglect, conflicting legal interpretations, and flare-ups of nationalism on both sides, mistrust and resentment grew. This was accompanied by increments in the military capabilities both sides were willing to dispatch to the area to protect their interests. Consequently, fishing boats navigated by self-made patriots were replaced by coast guard and maritime security vessels and surveillance aircraft, not only adding firepower to the mix, but also bringing the antagonists within greater proximity of each other, thus increasing the likelihood of accident. Still, as long as dialogue and cooperation continued to provide a possible way out, the armed forces on both sides played only a marginal role in the dispute, at least in terms of deployments and signaling of intentions by Beijing and Tokyo. Up until recently, China’s military buildup and exercises remained focused on a Taiwan scenario, and Tokyo responded in kind, preferring to rely predominantly on civilian agencies to fortify its claims to the islets and surrounding waters. The first sign that the military could now play a more prominent role in the dispute emerged in late May with reports that the People’s Liberation Army Air Force (PLAAF) was nearing completion of an Air Force base in the mountainous areas of Shuimen, along the coast of Fujian Province. Satellite imagery has revealed the presence of J-10 and Sukhoi Su-30 aircraft, as well as S-300 long-range air defense systems, at the base, which is situated a mere 380km (or 12 minutes flight) from the Diaoyutais. Unmanned aerial vehicles (UAV) will also likely be deployed there, providing additional surveillance and combat capabilities to the PLAAF in the East China Sea. Then, less than two months later, the PLA announced large-scale military exercises in the East China Sea between July 10 and July 15. Although Beijing argues the drill was routine and not aimed at any specific country, the most important exercise was one in which units were to simulate an amphibious assault on the Diaoyutais. All fishing activities around the Zhoushan Islands off the coast of Zhejiang Province were ordered suspended on the orders of a PLA unit. Interestingly, the drill occurs as China’s first aircraft carrier, the refurbished ex-Varyag (which some Chinese ultranationalists recommended should be renamed Diaoyutai), embarked on a 25-day sea trial — its longest ever — at Dalian, in Liaoning Province. Chinese media reported that carrier-based J-15 aircraft could conduct takeoff and landing exercises during the sortie, though such claims have been made ahead of previous sea trials. The carrier could enter service as early as August 1. Amid such demonstrations of capabilities, if not intent, a growing number of Chinese editorials have called on the government to move beyond diplomacy and to “take action” to make Japan “think twice.” Such claims were made in previous years, but their frequency and stringency is unprecedented (so far commentators have refrained from calling on the PLA to create a “sea of fire” in the East China Sea, a term used last year to describe a potential scenario regarding the South China Sea). 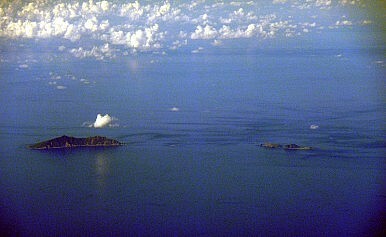 While the immediate trigger for the belligerent rhetoric was ostensibly the announcement by the Prime Minister Yoshihiko Noda administration in early July of its intention to purchase the Senkaku/Diaoyutai islands, it is important to understand that the current tensions are the logical outcome of years of failure by all sides to address the underlying causes of the conflict. In other words, even if Japan and China managed to dodge the current speed bump, another one will arise at some point, when the two countries have further strengthened their military deployments to the area. China’s recent brinkmanship in the South China Sea, where it has overlapping sovereignty claims with five other claimants, is being closely watched by Tokyo. Whether Beijing settles its disputes peacefully or through bullying — and so far there is little cause for optimism — will have direct repercussions on the extent to which Japan’s military becomes involved in the Senkaku conflict. In this regard, a link exists between the East China Sea and the South China Sea; the outcome in each will influence, in feedback-loop fashion, how conflict is resolved in the other. Beijing and Tokyo are both aware that going to war against each other would carry a huge cost. However, it is not unusual for wars to start as a result of accident or misunderstanding over escalating local disputes. The current militarization of the Diaoyutai/Senkaku area is creating additional frictions while increasing proximity, which makes such accidents, and potential triggers, more likely. So far the conflict in the East China Sea has failed to attract the kind of international attention that has been paid to the South China Sea, probably because the claimants have not sought to internationalize it in the way Vietnam and the Philippines have. Ongoing mediation in the South China Sea, though a long shot, nevertheless has a mitigating effect on the tensions there, and ASEAN participation could eventually create the necessary conditions for resolving the underlying causes of the conflict. No such mechanism exists in the East China Sea, where claims, fueled by growing competition for energy sources and rising nationalistic sentiment, could drag the region, and possibly the United States, into a devastating war. Given the impact that war between China, Japan, and possibly the US, would have in Northeast Asia, it would be in everybody’s interest that a multilateral forum be created to address the grievances before it’s too late.